Imagine yourself at a Japanese restaurant enjoying some mouth-watering sashimi, nigiri, and sushi rolls. What if I told you that the fish may very well contain plastic chemicals? According to Ocean Crusaders, 5.25 trillion pieces of plastic debris exist in the ocean. Not only does this pose a threat towards our Earth’s marine ecosystems, but also raises a red flag towards human health. You may remember people warning you not to litter on the beach or not to throw trash into the ocean. While you might have chosen to be utterly ignorant about it, people do not realize how the substantial magnitude and stupidity of dropping a Jolly Rancher wrapper on a shore can severely disturb our declining population of ocean critters. One piece of plastic dropped into the ocean is like one domino piece falling onto another, creating a catastrophic effect, initiating an abundant amount of problems. As plastic substances float on the surface of or deep down in the ocean for long periods of time, they are broken down into smaller pieces. However, they do not disappear. These miniscule chunks are mistaken for food and erroneously ingested by animals, whether the consumers are sea turtles, seals, or seabirds. Because plastic cannot be digested, it finds home in the stomach and takes up space. This is fatal to animals because as more plastic is ingested into the body, it takes up more space in the stomach, which leads to a declined consumption of real food. 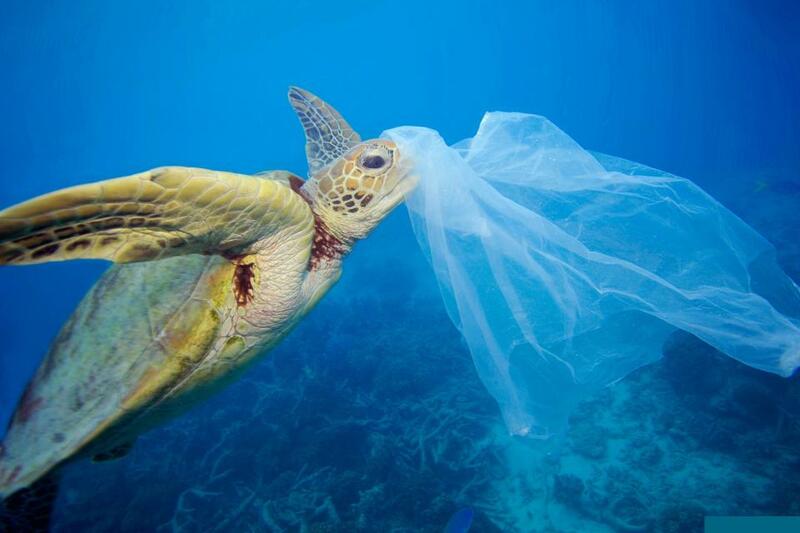 Furthermore, when an animal swallows a piece of plastic, the plastic has permanently entered the food chain. As you may have learned from science, animals are categorized in trophic levels in which almost all animals are preyed by another. Therefore, the plastic is forever amongst our marine creatures and according to the Environmental Working Group, a research found that “Of the 36 billion bottles sold in 2006, only a fifth were recycled. The rest ended up in landfills, incinerators, and as trash on land and in streams, rivers, and oceans.” Are you that cold hearted to want to continuously read articles about the tragic suffering of our Earth’s captivating aquatic creatures? Maybe your insensitivity and disregard goes beyond the life of those deep down in the ocean. Despite that, I can almost guarantee you’ll want to know how marine debris directly affect humans. The exposure and ingestion of plastic chemicals are a peril to humans and animals due to our simple fondness for fish. Whether someone is vegetarian or omnivorous, we all take marine creatures dear to heart because they are either fascinatingly stunning or because they taste delicious. All the research, evidence, statistics are outrageous and egregious to the point where we all need to realize the foolish repercussion of purchasing a $1 bottle of water from the supermarket. Use a refillable water bottle. Bring your own bag to the supermarket. Let’s restore the heart of Te Fiti to make the ocean a better place. Stop being ill-advised because our action makes a difference. Safety and Applied Nutrition, http://www.fda.gov/newsevents/publichealthfocus/ucm064437.htm. Really nice editorial! I love the sarcastic and dire tone you had and maintained throughout! The domino metaphor you had in the middle was really creative and I really liked the ending! I loved the editorial! Word choice was on point and so was your tone. Great use of satirical elements!